Barrington Stoke deserve praise for their innovative work as a ‘dyslexia-friendly’ publisher, though they prefer to describe their books as ‘super-readable’. This review is based on a proof copy, but the publishers promise that their finished books will include generous spacing, quality paper which minimises show-through, clear unambiguous font and illustrations which aid recall and comprehension - all to promote accessibility. Beyond this, they are keen to say that books such as Rook are for all readers. To publish specifically for those with dyslexia would be ‘to ghettoise those with print-access issues [and] to devalue shorter fiction’. That kind of everyday image is typical of the writing. BfK readers with long memories may be reminded of Macmillan’s 1970s Topliners series, devised and edited by Aidan Chambers with reluctant readers in mind; short novels, with strong, engaging storylines (no alternating or unreliable narrators, no flashbacks, no multi-layered sub-texts, no allegorical fantasies). The language was clear and without condescension. Topliner plots were often limited to one neighbourhood in an industrial city. Rook too is very local – local school, local streets, local bus journeys, local bullies and local unattainable girl. There’s also a kind of self-mockery; when he can stand back and look at himself, Nicky knows his adolescent angst is somewhat comic. Nicky’s story works out just fine: vulnerability and need turn out to lie beneath the bully’s bravado; Sarah is far from unattainable and she’s a great listener (Nicky’s needed that); and Kenny’s becoming less dependent on Nicky, making new friends of his own. Just a final thought – not too prudish, I hope. I’ve never been sure how funny farting and toilet habits are; the jokes seem a bit too easy, maybe close to dumbing down. I mean, two and a half pages on Competitive Farting ...? Nicky’s supreme effort is so noxious that when Dad comes into the room he chokes out a twelve line paragraph of increasingly inventive description. Here’s a flavour, as it were: ‘It smells like a tramp crapped his pants and hid them in here...it smells like a cabbage and an egg got married and had some babies, and then they all died.’ Happily, farting is not an obtrusively recurrent motif. 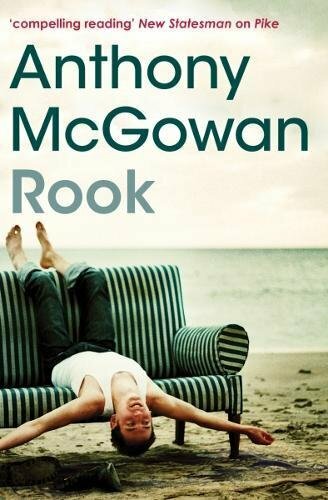 Rook is an entertaining read for many other reasons and will surely be widely enjoyed; it’s certainly accessible to those getting used to reading whole books for themselves.